Very good product and the price is right. ! We would strongly recommend you to consult your doctor before taking a medication. I remember first being shocked at some of the methods, but my friend said to me, “Don, you must understand that these are their methods of policing, this is how they’re taught.” He then told me a horrifying story of his own arrest and subsequent interrogation while working in St. Petersburg almost 20 years earlier; this helped me understand the cultural and democratic differences in methods of policing. The police I worked with were respected in their departments; they rose through the ranks and did the job required. I have my personal feelings of how and what they do, but then as a photographer I think I’ve said enough about that with my work. What I strongly believe is that this is not a rogue set of cops; this is standard practice. It is what it is. It’s the utter terror of a wayward bureaucracy. 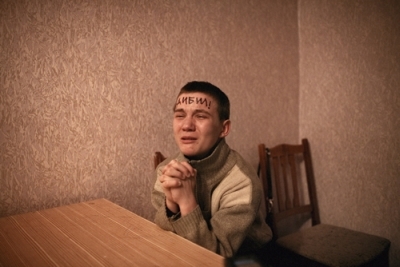 Beginning after his first trip to Ukraine during the Orange Revolution, it took Weber years to assemble this series of photographs, as most prisoners, understandably, declined to have the ordeal documented. 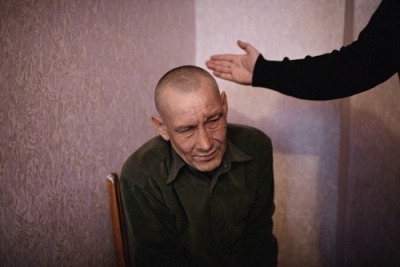 The result is an unsettling look at unchecked, State-sanctioned power.